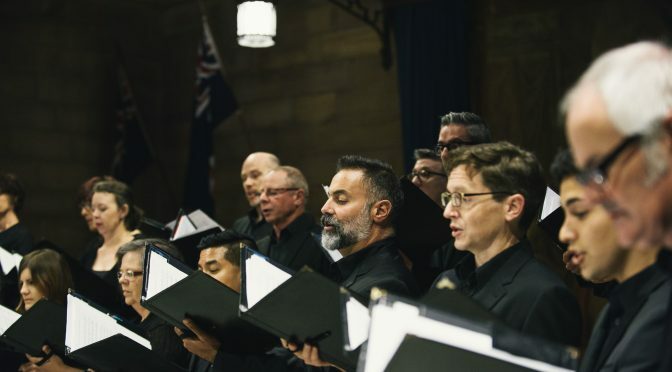 Sydney Chamber Choir embarks on BEHOLD – THE SEA!, a choral voyage through maritime disaster, epic adventure and revelation, island magic and a reverence for sea coasts and depths, in a panoramic concert devised by one of the world’s leading choral conductors, Jonathan Grieves-Smith. Leading with Jaakko Mäntyjärvi’s stirring requiem to the hundreds drowned in the 1994 sinking of the passenger ferry Estonia, the concert includes Cecilia McDowall’s choral homage to Harriet Quimby, the first woman to fly across the English Channel in 1912, just a day after the sinking of the Titanic, and Peter Sculthorpe’s song tribute to James Cook’s commanding voyage to follow the transit of Venus, The Stars Turn. Alice Eather, the young Maningrida teacher and activist who took her life last year, is remembered in a new work by well-known composer and singer Dan Walker, based on her poem Yúya Karrabúra (Fire in Burning) and its moving plea for reconciliation and against mining the coasts of Arnhem Land. The work was commissioned by the Choir’s former President, and fellow chorister with Walker, Ed Suttle, whose son, Dave, worked closely with Alice Eather. The concert also draws on James MacMillan’s wonderful Strathclyde Motets, a Scottish region renowned for shipbuilding, as well as premiering in Australia Nicolas Campion’s classic psalm, De profundis. From the depths to the stars, this expansive program ends in peace with the last farewell to the departed, In paradisum by the Latvian composer Ēriks Ešenvalds. 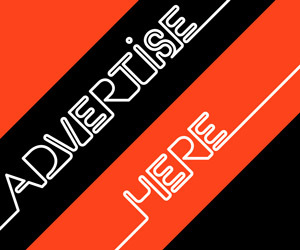 BEHOLD – THE SEA! from Sydney Chamber Choir [Facebook] will be performed at Verbrugghen Hall, Sydney Conservatorium of Music, on Saturday October 6 at 7.30pm. The Choir will be joined by the Wollongong vocal ensemble, con voci, [Facebook] for a repeat performance at the Church of the Mall, Wollongong, on Sunday October 7 at 3pm. 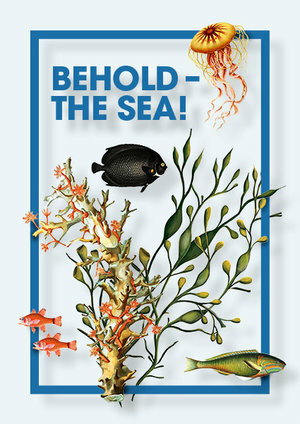 With thanks to Sydney Chamber Choir, Sydney Arts Guide has two double pass giveaways to BEHOLD - THE SEA! on Saturday 6th of October. with BEHOLD - THE SEA as the subject, along with your full name. Competition closes Midnight Thursday 4th October, 2018 when the winners will be drawn. Only winners will be notified and the passes may be collected from the service desk in the foyer on the night. Congratulations to Kim and Sharon who are the winners of this competition.